One of the first questions that I am asked by potential clients who are looking for a wedding photographer is, what kind of photography style dominates my portfolio. I think it goes without saying that all my photographs are a blend of traditional portraiture and photojournalism. I love capturing traditional posed shots for all the family members, but the couples themselves love the candid or not posed shots. With that in mind, I always carry my camera ready to snap a photo when I see the right moment. I have been very experienced in portrait work so I find family portrait easy to capture but I also make sure I give my clients plenty of candid shots from the whole event. These are the photos they (the couple) will cherish the most as they will take them back in time to once again re-live that big day again. This photo shows one of the traditional shots. I asked the bride and groom to stand next to a large white pole. I also told the groom to stand right behind the bride and look at me. 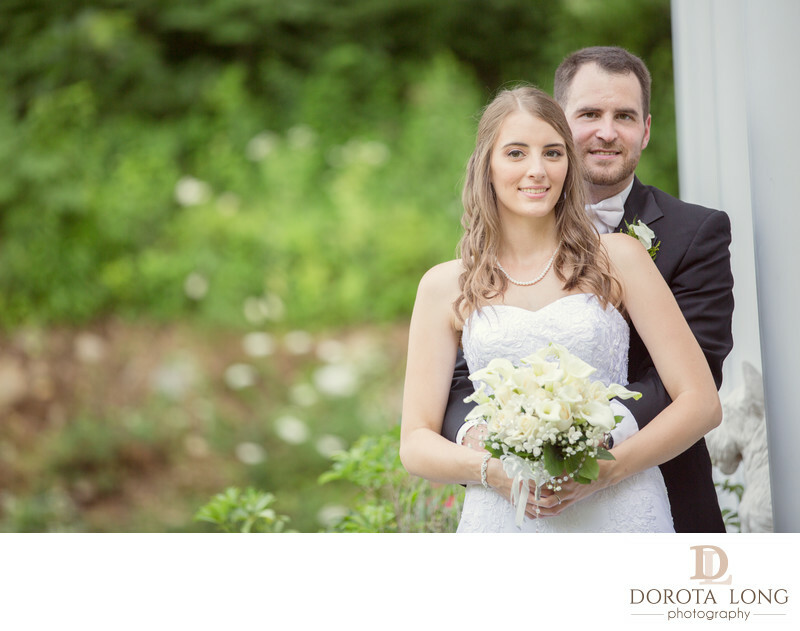 I absolutely loved working with this couple, they have been wonderful. Not only they are both beautiful but they really enjoyed their photos.